Over time we’ve uploaded quite a lot of manuals to the website and have gotten requests for even more different versions. Unfortunately, we don’t have all of the manuals that we’ve gotten requests for. 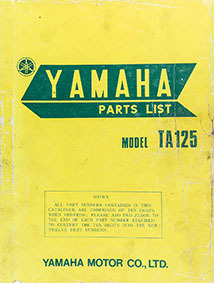 Luckily we were contacted by a visitor named Paul and he generously provided us with digital copies of two of the manuals we were lacking: the LS2 parts list and the TA125 owner’s guide. 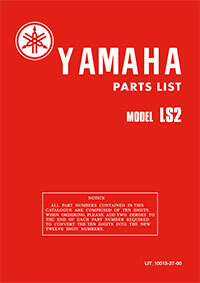 Both of them are available in the manuals section and below. If you have any questions yourself or if you’re looking for something, feel free to contact us using the contact sheet on the site. We do our best to help. It’s time for another update! 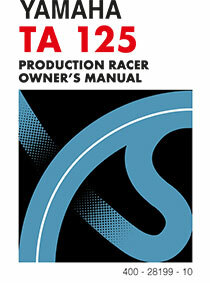 This time we have the parts list for the TA125, it’s basically a racing version of the AS3. As such, it shares a lot of parts with its street-going brother but a lot of parts have been changed for higher performance. This will help you in finding out which ones! As always, you can view the manual by clicking the picture below or by going to the manuals section.